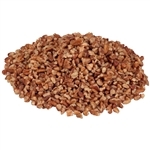 Our bulk restaurant Pecans are great for baking and creating tasty, healthy dishes. We carry many different kinds of pecans which are super healthy for your heart. As the restaurant supply superstore, we make sure we have all of the different healthy nuts available to satisfy your patrons and create the best pecan pies in the world. 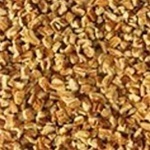 Diamond Walnut Pecan Fancy Medium Pieces - 2 Lb. John B. Sanfilippo and Son Fisher Naturals Fancy Large Pecan Pieces - 2 Lb. John B. Sanfilippo and Son Fisher Fancy Pecan Halves - 2 Lb. John B. Sanfilippo and Son Fisher Fancy Large Pecan Halves - 5 Lb. John B. Sanfilippo and Son Fisher Fancy Medilum Pecan Halves - 5 Lb. 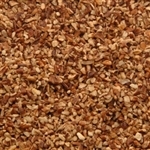 John B. Sanfilippo and Son Fisher Fancy Small Pecan Pieces - 5 Lb. Pecans Halves and Pieces Glazed - 5 Lb. 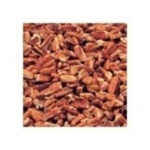 Pecan Pieces Fancy Medium - 5 Lb. 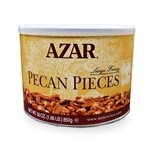 Large Glazed Pecan Pieces - 32 Oz. 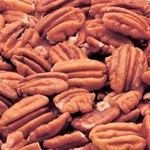 Buy Wholesale Pecans for your restaurant and food service cooking needs in bulk for the best deal. Pecans have tons and tons of energy and nutrients packed in a small package. Add these to your salads and stir fries to enhance the flavor and nutritional value.